Premium low powder latex examination gloves. 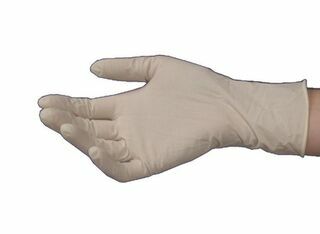 •Non-sterile, ambidextrous, examination gloves made from natural latex for a close fit and excellent feel. •Beaded cuff for added strength (reduces likelihood of tearing while donning). •These gloves offer protection for a variety of applications including food processing and preparation, printing, laboratory and medical use. •Manufactured to the ASTM D3578-95 specification for Latex Examination Gloves.